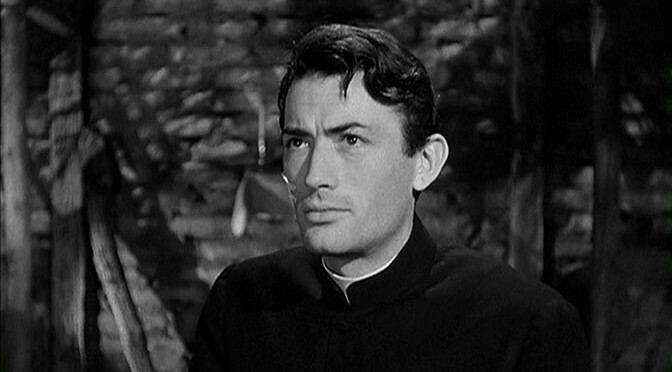 Although a 1944 film starring Gregory Peck in an Oscar-nominated performance sounds like something right up my alley, I never really thought much to seek out this film, largely because films specifically about priests or pastors often don’t tend to do as much for me as you might expect. Either I disagree with the theology presented, or I’m angered by the portrayal, or I’m bored with the piety. 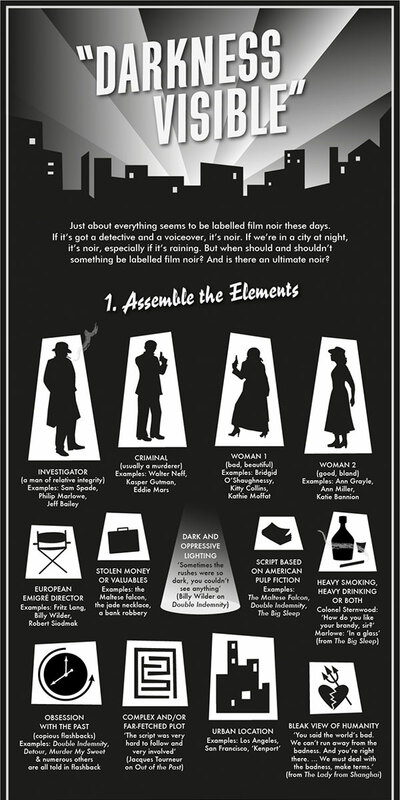 I knew little of this except that the main character was a priest, but I presumed one of the above might be the case. I actually got far more out of it than I thought I would, though I guess I could still nitpick the theology a bit here and there. 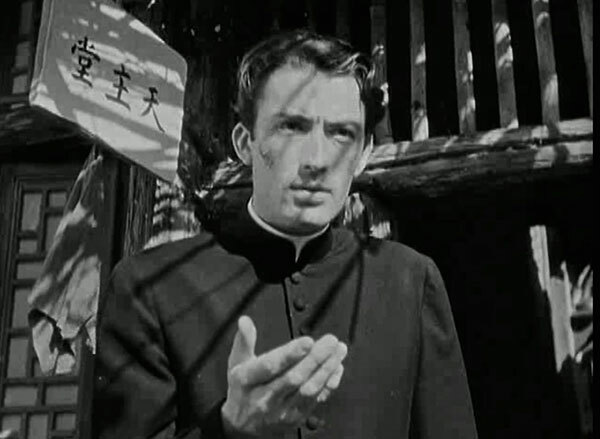 Peck is Father Francis Chisolm, who winds up going to seminary after the girl he loved chooses a different path (and a somewhat surprising one for a 1944 film, I have to say), but his methods don’t always please his superiors. His teachers take his dogged questioning as a lack of faith in traditional theology, and later on his superiors worry that he’s too ecumenical – he has friends who are atheists! 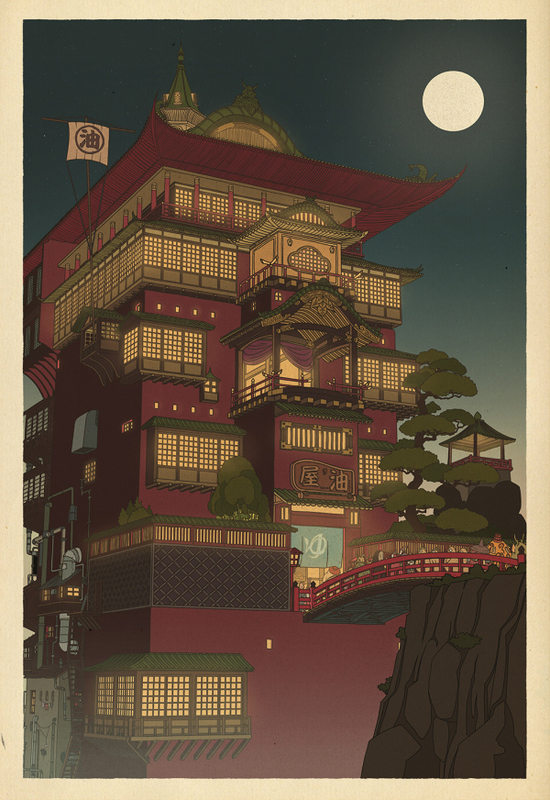 One superior, however, sees something special in him and appoints him head of a mission in China. The film basically covers all of Father Chisolm’s life, another thing that doesn’t always sit well with me, but this does a good job of hitting the highlights and not dwelling on the in-betweens like so many life-span sagas do. 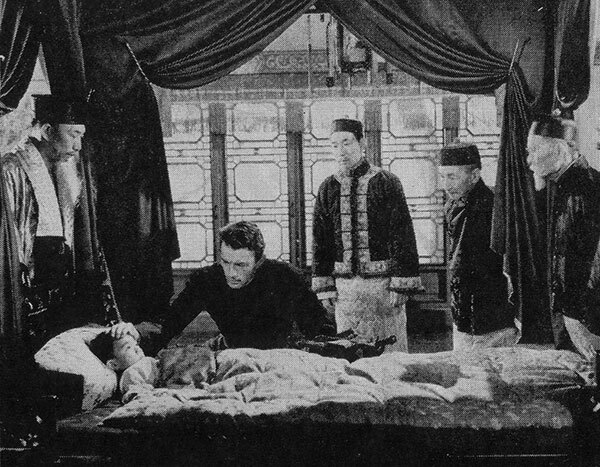 We see him setting up the mission, using medical skills he’s picked up to save the son of the local Chinese leader, becoming embroiled in a civil war, and finally returning home to Scotland. But mostly what we see is a man with strong faith who nonetheless sometimes struggles with how that faith should play out in his life, who becomes a servant of his community rather than necessarily being innately pious. As he learns, priests aren’t perfect, they’re human – and you see that in his life, but what you DON’T see is any major crisis of faith or dark night of the soul or any of the other hundred cliched things movies about priests do. This man doesn’t doubt God, though he sometimes doubts himself. I greatly appreciated that. The pacing and tone of the film reminded me quite a bit of How Green Was My Valley, which has more of an ensemble of characters than this, but also happens to feature one of my favorite ministers in classic film. What these men have in common is a faith that isn’t threatened by internal or external forces, but quietly sustains them while they go about their work in the world, being a living example of what they believe and never diminishing the importance of it, while also not forcing it on others in ways that would only be likely to push them further away rather than bring them closer to God. Whether or not Father Chisolm’s best friend (played by the wonderful Thomas Mitchell) ever came to faith before his death, there’s little Father Chisolm could’ve done to change that except what he did – be an honest example of his faith and keep in constant prayer for him, which he did. These things are in God’s hands ultimately, and I appreciated Father Chisolm’s commitment to living for others while ultimately leaving the future up to God. 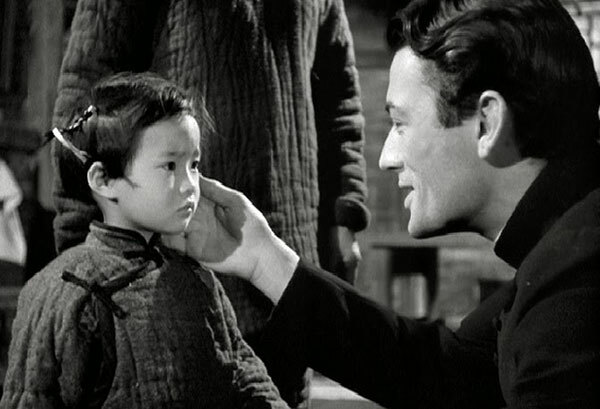 I mentioned Thomas Mitchell already – the film also has Edmund Gwenn as the one priest who supports Father Chisolm early on, plus Roddy McDowall as the boy Francis, before he grows up to be Gregory Peck. 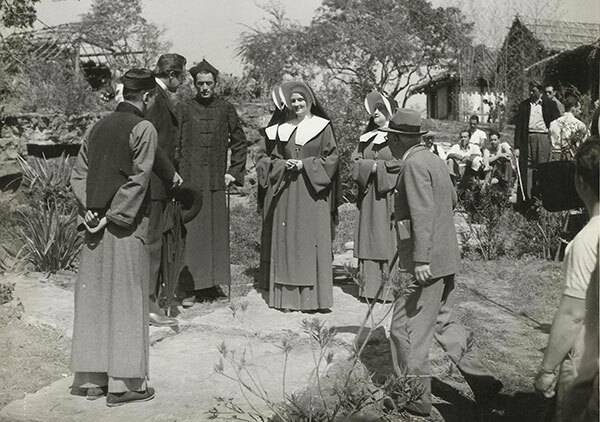 And best/sleaziest of all, Vincent Price is Father Chisolm’s childhood friend who indulges in the excesses the Catholic Church allowed its leaders – his visit to Father Chisolm in China is revelatory, as he talks about how Chisolm should try harder to convert the richer Chinese so his mission could be more lavish. Talk about missing the point! The slow burn way Father Chisolm’s relationship with the Reverend Mother who joins the mission (along with a pair of Sisters) grows over the course of their lives is pretty great, too. A lot of movies would likely be tempted to try to put something salacious in here, or at least intimate some kind of sensual desire between priests and nuns in a remote area of China (I almost said “modern movies,” but I mean, Black Narcissus), but there’s nothing of the kind, just an ever-growing respect and enjoyment of each others’ company as fellow missionaries and spiritual peers. I’ve said “appreciate” a lot, which suggests a distance that I did feel throughout much of the movie, but had vanished by the end. Just as How Green Was My Valley has grown to be a film I love, I can imagine this will be the same way. It’s really hard to write goodness and make it interesting, but Joseph L. Mankiewicz (who excelled at writing acerbic and often wicked people as well) manages it. By the end, I just wanted to hang out with Father Chisolm some more. It is now my #1 John M. Stahl film, my #2 Gregory Peck film, my #4 Thomas Mitchell film, my #4 Vincent Price film, my #5 Religious Drama, and my #7 film of 1944. The Keys of the Kingdom was recommended by Malea Selby, a friend from my church. Father Francis Chisolm (in a quoted sermon): All atheists are not godless men. I knew one who I hope now may be in heaven. Father Francis Chisolm (in a quoted sermon): The good Christian is a good man, but I find that the Confucianist usually has a better sense of humor. Father Francis Chisolm (voiceover): I became increasingly satisfied that Nora was a girl. Father Francis Chisolm: I asked whether God set an exclusive value on creed, since it’s such an accident of birth. Father Francis Chisolm: In our Father’s house are so many mansions. There must be room for me. 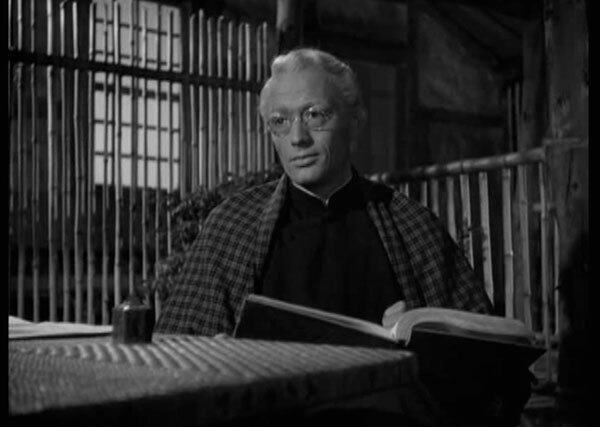 Father Francis Chisolm: When I was a little boy I imagined it was not in the least difficult to be a priest, that they were all infallibly perfect. Father Hamish MacNabb: And now you’ve discovered how frighteningly human we are. Father Francis Chisolm: Dear Lord, let me have patience and forbearance where now I have only anger. Give me humility, Lord. After all, it was only thy merciful goodness and they divine providence that saved the boy. But they are ungrateful and you know it! Father Francis Chisolm: I’m not wanted anywhere, but God’s mercy is wanted everywhere. I’ve got no right to quarantine it behind these walls. Willie Tulloch: I’ve never loved you as much as I do now, because you haven’t tried to bully me into heaven. Reverend Mother Maria-Veronica: It must be a great blow to you, to see your beautiful church so wantonly destroyed. Father Francis Chisolm: No one can destroy my church. I shall build it again. As long as I live I shall build my church. 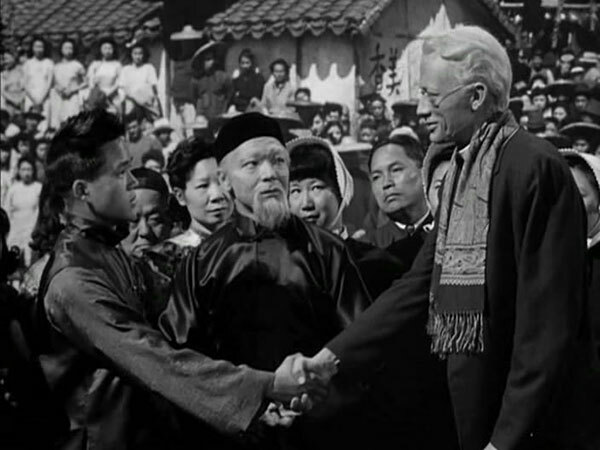 Monsignor Angus Mealey: If only you’d been more successful with the more well-off Chinese. You ought to impress them more, put on a show! Father Francis Chisolm: Heathens are not always low, just as Christians are not always high. Reverend Mother Maria-Veronica: I knew that yours was a true humility and that mine was a duty. Father Francis Chisolm: How out of proportion are the events of our lives to the words with which we describe them. No one’s really been able to write pain or love or fear or God as well as we can feel them.